Art Road Nonprofit’s mission is that children throughout southeastern Michigan will have access to art instruction. 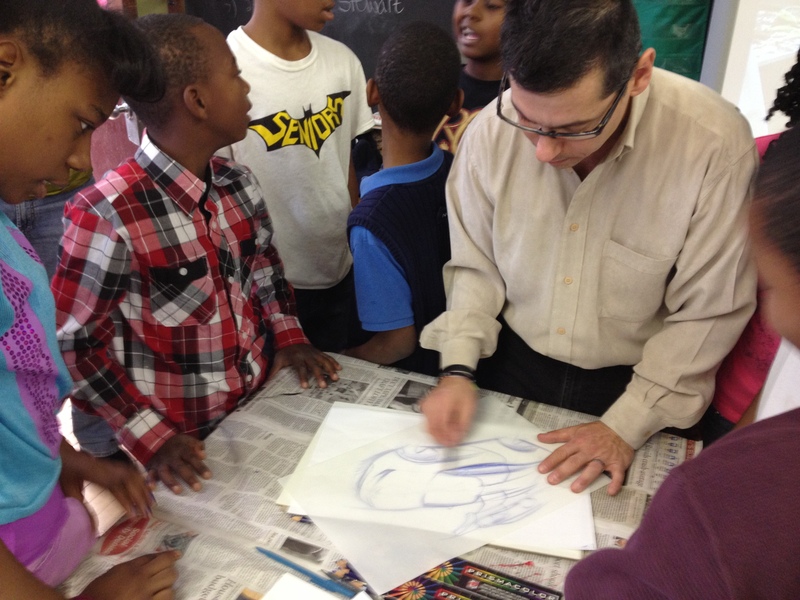 We have created a world class model of bringing art class back to schools. 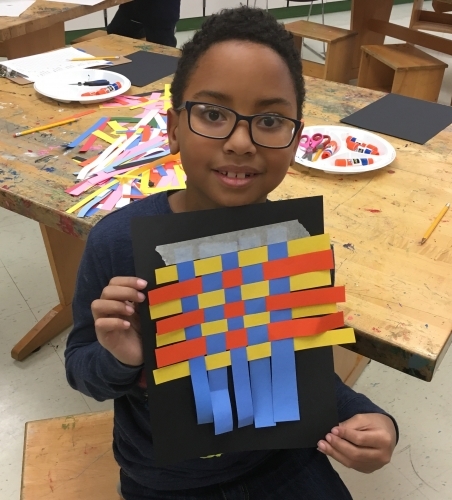 At all of our schools, we have engaged the best instructors, provided field trips to art museums, founded a summer art camp, and also created a beautiful environment for art class to take place. We need traction in our mission. The model has been tested. Now we wish to educate others in the community who value art education about our world class model of bringing art class back to schools. Contact us today if you share this mission and wish to help in any way. Art is where we begin. 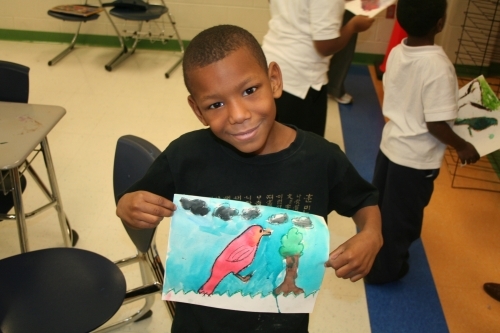 Bringing art back to class is not only the goal of Art Road, but art is also where we begin. A unique element of Art Road is the involvement of artists in the very fabric of our organization. From our founder and executive director, Carol Hofgartner herself an architect and artist, to the artists who craft instruction in the classroom, and artists who design signature collaborative projects, not to mention the army of artists who support Art Road Nonprofit with the donated sale of their products and the Michigan Glass Project main or other avenues each year. This pool of creativity is at the center of all we do. Because as artists, many of us have experienced the power of art in a very personal way. Anyone who has spent the day in the classroom painting with a class of first graders knows, art is magical and amazing. Art can also be very messy at times! However, it is in all of this wonderful mess, we untangle our thoughts from a messy world and weave beauty and purpose together. Many of the lessons and projects instructed in the classroom are inspired by the knowledge and current work of the teaching artists’ behind the scenes, in their own studios. By working hands-on in their studio, artists are inspired in their creations than many times adapt those concepts and techniques to be used in the classroom. One of our artist instructors is, Marceline Mason, a graduate of Cranbrook Academy of Art, who’s professional focus is painting. Her subject matter is varied with atmosphere and realistic paintings of forests and houses, or still life subjects. Sometimes she depicts animals and people too. 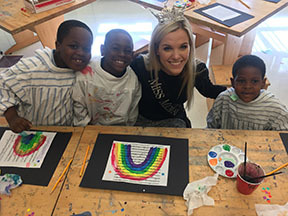 She brings her knowledge and love of drawing and painting into the classroom, where the students learn in detail about perspective and color mixing. Kimberly Holback another artist instructor is also a painter but has been exploring mixed media art forms in the studio in the development of her art, layering paper collage with charcoal and paint. This inspiration made its way into the classroom last year with a project where students layered printed sheet music onto paper for a background to paint rainbows. Occasionally, Kimberly likes to bring a painting from the studio into the classroom, like her series of paintings of balloons, for illustrating a project the students created, or like the butterfly wing oil painting that the students each participated to paint a portion of. It is a mutual stream, the artist’s inspiration makes its way into the student’s instruction, and the student’s enthusiasm finds its way back into the artists’ work. 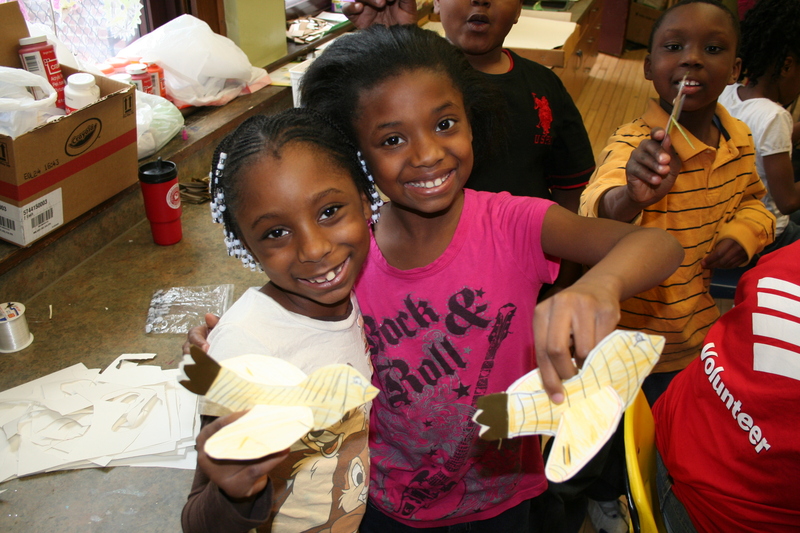 Part of the magic of art is that we grow together, creativity feeds creativity, ideas give way to more ideas. Inspiration is contagious. We have had many talented artists a part of our team over the years, most recently Lynsi Schuessler, another recent graduate from Cranbrook Academy of Art, brings to the team a knowledge of sculptures and textiles. Here experience and expertise with felting and solid form sculptures will no doubt ad an additional element to the student’s experiences in the classroom. Todd Kananen also is a key artist in the team, who has been with Art Road since it’s beginning. Artist, architect, and designer by trade, Todd has designed and executed the creation of Art Road’s signature projects and murals. 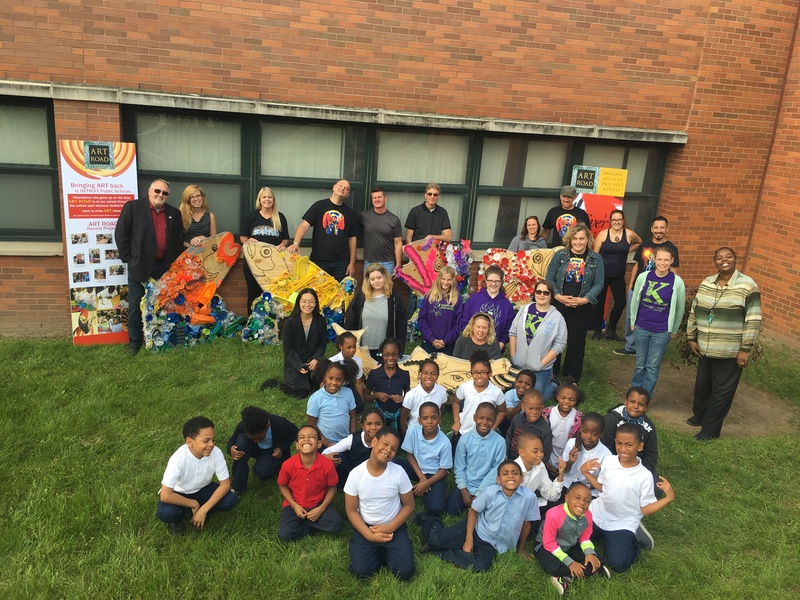 From the first murals painted at Edison Elementary, and Charles H. Wright Academy of Arts and Science, the tenth-anniversary aluminum ladder sculptures, and the Washed Ashore great lakes recycled fish project, his enthusiasm, and creative vision have to lead the way. Most recently, Todd, along with Carol Hofgartner designed Art Road’s weaving walls, an interactive art experience. The art project began at the 2018 Michigan glass project’s main event and will continue in the classroom with the students layering on fabric and thread to build a colorful and interactive art sculpture. 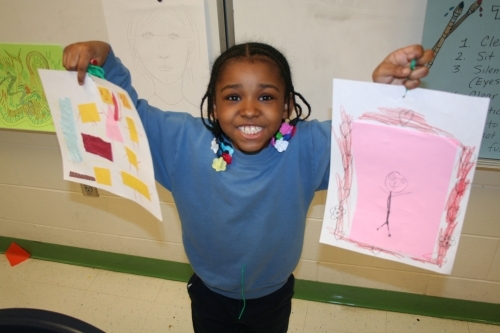 Because art in the lives of students is more than just a nice idea for creative expression. Art is inspiration. Art is a lab for everything and connects to every aspect of our lives. Art is a way to untangle a messy world and make sense of it all, an opportunity we want to make available for every student.